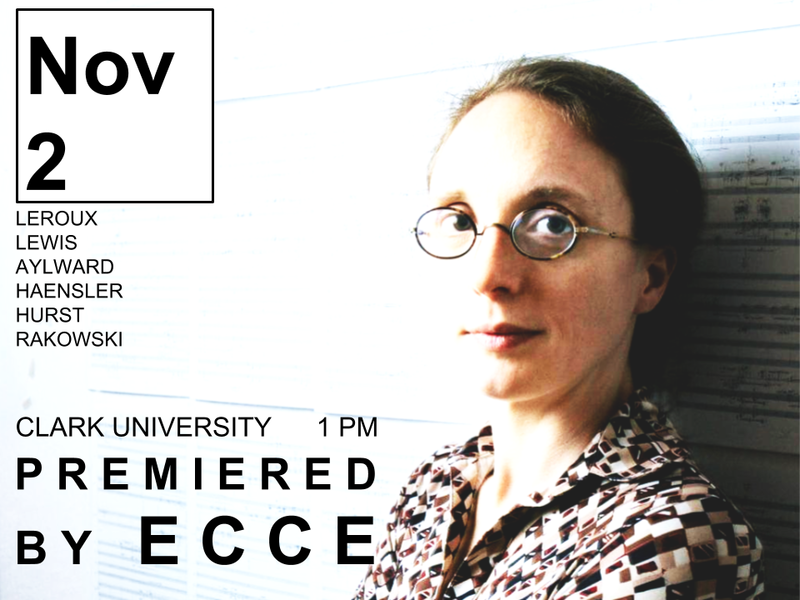 Presenting US and East Coast premieres by Stephanie Haensler, Franck Bedrossian, Philippe Leroux, Rebecca Saunders, Derek Hurst and Etchings Festival alumna Sunyeong Pak. 1PM. Razzo Hall. Clark University. Presenting new music by Boston Conservatory faculty Derek Hurst. Seully Hall, 8 Fenway, Boston. Presenting New York and East Coast premieres of works by Stephanie Haensler, Franck Bedrossian, Philippe Leroux, Rebecca Saunders, Derek Hurst and Etchings Festival alumna Sunyeong Pak. 450 W 37th St, New York. The Boston Conservatory at Berklee presents Ecce in a program featuring Boston composers Derek Hurst and David Rakowski and works from our core repertoire. We perform a program that presents two generations of composers from Italy and America. Elliott Carter's classic Triple Duo and Salvatore Sciarrino's Tre Notturni Brillanti, pair with Clara Ionnatta's Limun and John Aylward's Angelus Novus. We'll present a collaborative program with the French ensemble Court-Circuit as part of our long-standing residency at Le Laboratoire Cambridge, at Clark University and at New York's Roulette. Program includes works by Philippe Hurel, Philippe Leroux, David Felder and a Fromm Foundation Commission by John Aylward. April 12. Le Laboratoire Cambridge. April 13. 7:30PM. Clark University, Razzo Hall. Michael Hersch’s Zwischen Leben und Tod: twenty-two pieces after images by Peter Weiss. We present this epic 90-minute violin and piano duo by Michael Hersch as part of our residency with the Boston Athenaeum. Mr. Hersch will join us for a pre-concert reception and talk. 5PM Reception and Talk. 6PM Concert. ECCE kicks off the season with music dance and sculpture at Boston's iconic Rose Kennedy Greenway: the perfect venue for a program that highlights the synergies of art, music and culture. Our Creative Collaborator Colin Gee (founding Whitney Museum Live artist-in-residence) will perform a choreography specially designed for a performance of Karlheinz Stockhausen's Tierkreis (Animal Circle). All will take place surrounding Ai Weiwei's Zodiac Heads currently featured on the Greenway's fountain plaza. ECCE celebrates one of America's greatest living composers. 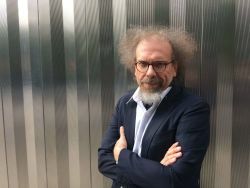 Yehudi Wyner, President of the American Academy of Arts and Letters, will be on hand to discuss his music and vision for classical music in contemporary culture. Framing presentations of Mr. Wyner's music will be performances of two notable American contemporaries, Martin Boykan and Martin Brody. 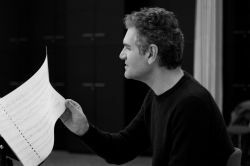 Jean-Baptiste Barrière joins us for a discussion and concert of his work with special guest Margaret Lancaster, flute. 7PM. Discussion, talk, and concert. Le Laboratoire, Cambridge. March 2nd, 2017. 6PM. 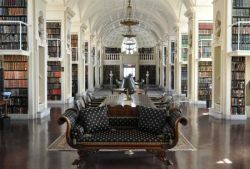 ECCE partners with Boston's historical center for civic discourse, the Boston Athenaeum, for a day of music, art and culture revolving around the topic of conservation. Performances, discussions, exhibitions and community forums will all be part of the evening's offerings. In between performances, audience will experience exhibitions by guest technologists and innovators interspersed throughout the Athenaeum. Le Laboratoire, Cambridge. May 19th, 2017. 7PM.